My experience at the L'Occitane store - Cherry Colors - Cosmetics Heaven! 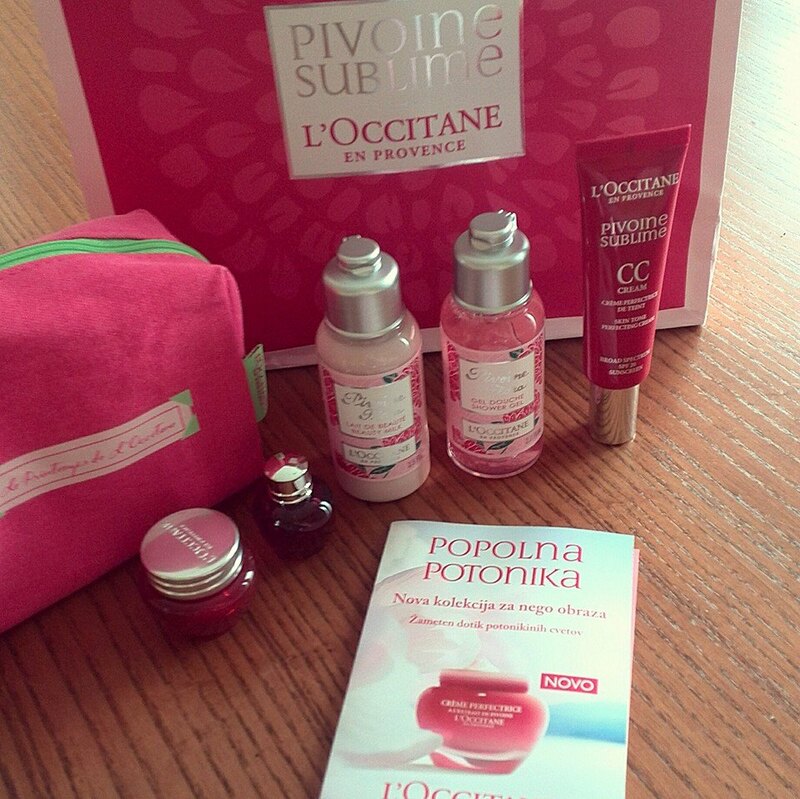 Well, I was invited from L'Occitane's PR department, to experience a "Complete Care with the Pivoine Sublime line". I was curious, as I never got try a "complete care" at their store. I learned that anyone can get one of these "complete care" tryouts if they ask nicely at the store. It's mostly to test a new line, which I think is awesome (because people need to know how does a product act on their skin before buying it). My store of choice was in my hometown - Koper where the girls were amazingly nice. One was tending the store, while the other took her time to explain everything (you can read the Slovenian post about the products, here). I asked many questions, and all were answered. If I had a question about a product or an ingredient, they knew how to answer it. And they knew how to answer it nicely. I can't stress enough how nice they were! Sixth; To finish it out, she added a bit of BB cream all over my face in a patting motion + a tad of blush. And to make everything complete, she applied the new Poeny Tinted lip balm in Rose Plum (it's matte!!). I loved every step of it because the application was more like a massage and I think I must have dozed off a couple of times. 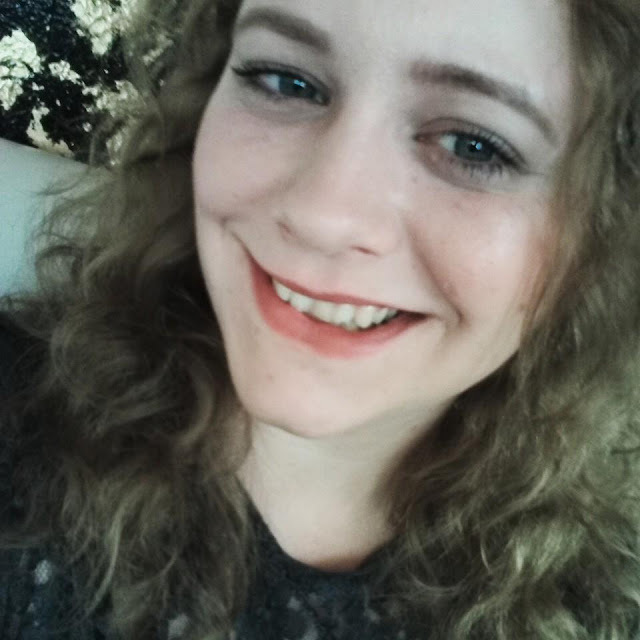 I thought that I'd look very shiny at the end (because of all the creams, I guess? ), but I looked matte - not a bad way of matte, but a natural way of matte. And the most important thing - my normally very visible acne were covered. And in only two steps (CC + BB cream), I am impressed - it usually takes me about 3-4 steps to cover them normally. I got out of their store feeling happy and excited. 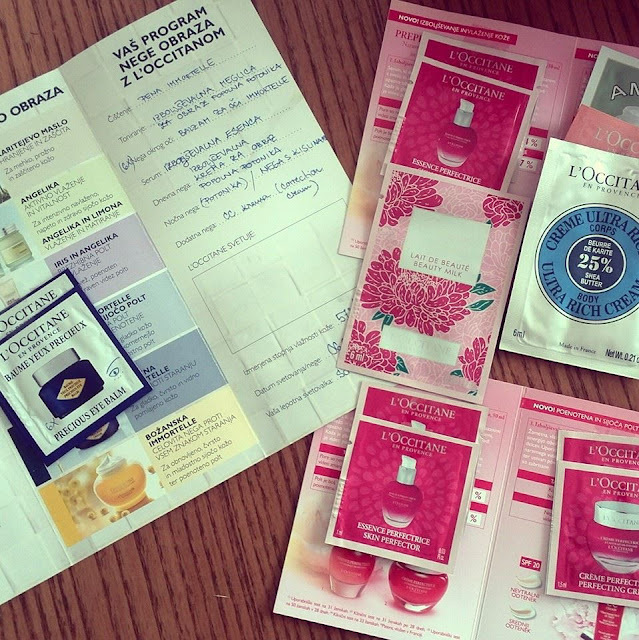 I got a bunch of testers, a new CC cream and the travel set of the new line (stay tuned for the reviews!). Of course, I was smelling divine - without feeling sick from the many scents (like it happens with all of the perfumes on me - I start feeling sick if there's too much perfume on me).